This topic contains 1 reply, has 2 voices, and was last updated by Danny 3 weeks, 5 days ago. In my website, I wont be able to edit the header and footer, can you please help me how to edit it? So in this case, you can modify your header & footer in Appearances > Customize > Header / Footer. 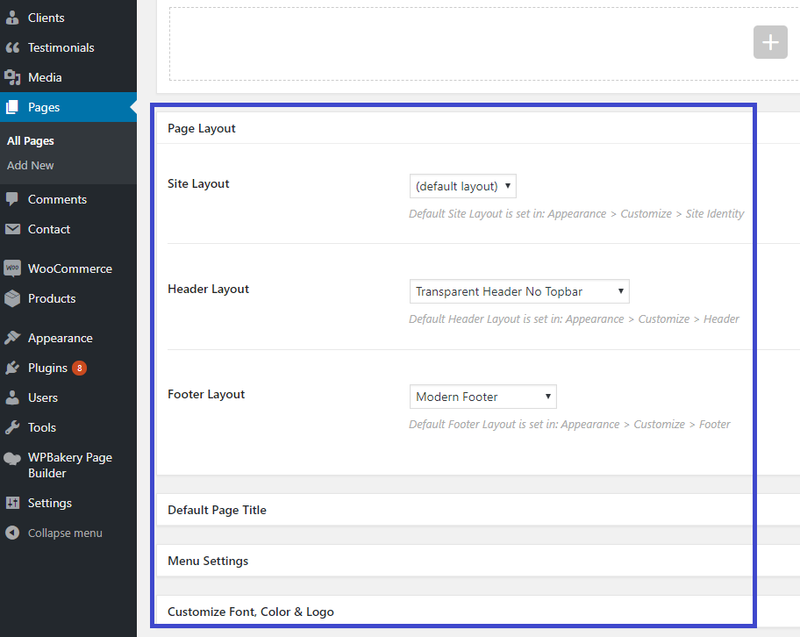 If you can’t see the changes, please go to your page editor, scroll to bottom, and modify the Header/Footer layout in “Page options at bottom of the page/post”.